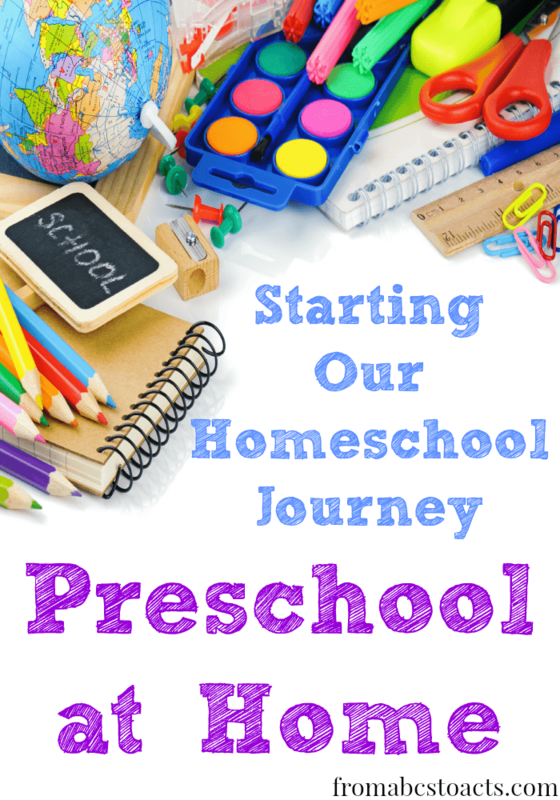 When we originally made the decision to homeschool, I’ll admit, I was completely overwhelmed. When should we start, what should I teach, how should I teach it? Those were all questions I asked myself more times than I care to count. I have taught in a classroom before, I have taught many other children, but it is a whole new ball game when you start teaching your own children. But over the past few months, I have come to realize more than ever before that I am already teaching my children. As a parent, you are your child’s first and most important teacher and I teach my children every single day whether I realize it or not. Now, that Nicholas is getting a bit older and is showing an interest in more intentional learning (wanting to know how things work, reading, writing, flashcards, etc. ), I feel that not only is he ready to step into a somewhat more structured learning environment, but I have a much better understanding of what that should look like for him as well. And so, our homeschooling journey begins with preschool at home. As I have mentioned before, Nicholas loves flashcards. He gets excited over books and wants to soak up every single piece of knowledge that is thrown his way. With his Autism, he doesn’t do very well with change and therefore, thrives on a more structured schedule. Yet he enjoys his free time as well. The tot school activities we did last year were a HUGE hit with him and he really seems to love having a new theme each week. Since he is only 3, we obviously won’t be doing hours and hours of “school” work each day but, we will be a little more intentional with our daily learning and play. I have spent the last few months gathering resources, putting together some fun themes, and finding ways to be a little more intentional with our ultimate goal of learning through play, creativity, and exploration. As we go along, we’ll be sharing our crafts and activities here on the blog and we’ll be creating a curriculum page that will list our “lesson plans” as well. As for the rest of this week, we will be finishing up our preparations, and starting next Monday we will begin working our way through our fun-filled, play based 3 year old preschool curriculum. If you’d like to follow along or work through it with us, we’d love to have you!